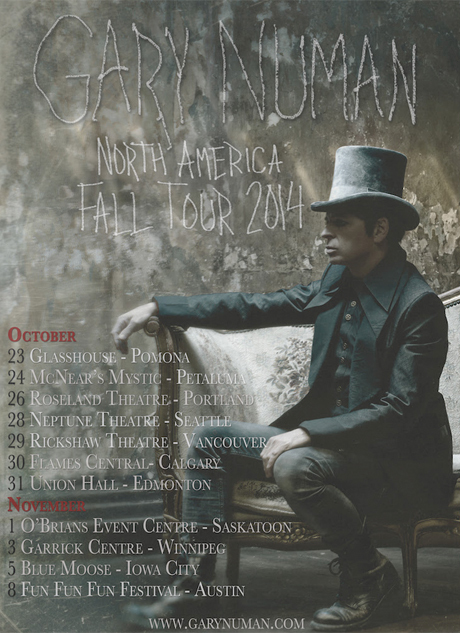 Gary Numan has been touring fairly diligently as of late, and having hit up Montreal and Toronto a few months back, he is now preparing to come to Western Canada on his latest tour in support of Splinter (Songs from a Broken Mind). This trek will last for a little more than two weeks from late October into early November. In that time, Numan will start in California and head up the Pacific Coast, performing in Vancouver and then heading across the Prairies. He will then head back to the U.S. for a couple more shows. See the schedule below. Tickets for the Canadian shows are already on sale.